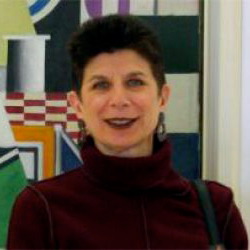 Stephanie Locker has over 30 years of teaching experience, primarily as a reading specialist. She taught both remedial reading and Reading Recovery and was a Library Power librarian. In addition, she served as both ESL school coordinator and ESL teacher. Stephanie has an MSE with honors in Developmental and Remedial Reading from City College, NY. Having extensive professional development in literacy, she has presented at venues such as NYS Reading Association, New Visions - Astor Center Collaborative Sharing Meeting and the PDS Technology Integration Project. Over several years, she was teacher and mentor for students winning storytelling and bookmaking competitions at the district, city-wide and borough levels. Among many other projects, she developed study units to facilitate teachers' work with Lincoln Center Institute. Stephanie also served as a board member of Educators for Social Responsibility for many years.